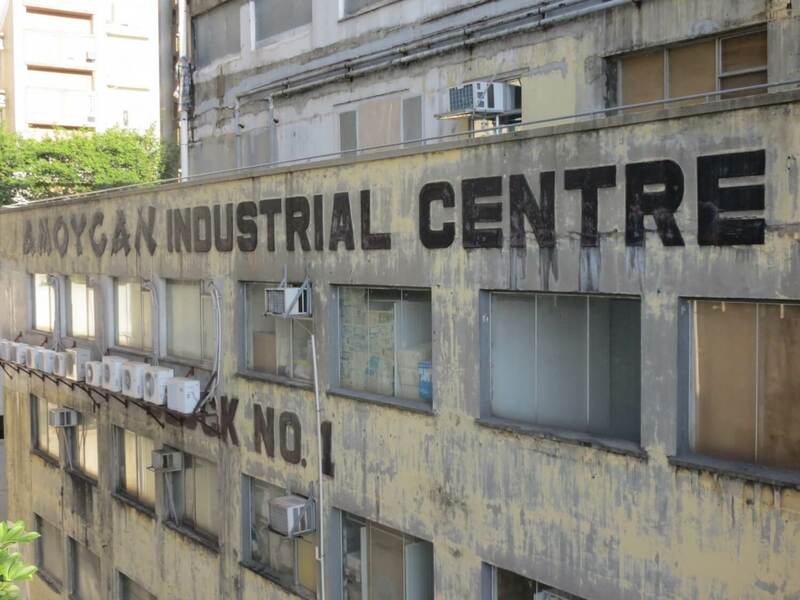 James Chan: I came across this industrial building when out for an urban walk. The Amoycan Industrial Centre, Block no.1 at 7 Ngau Tau Kok Road, Kowloon Bay. The “Amoycan” part of the sign is very similar to the script used by Amoy Canning. I wonder if this building had a direct connection to the latter company? I took the photos on 20th December 2014. HF: On the 21st June 2016 fire swept through the building claiming the lives of two firefighters and becoming Hong Kong’s longest-running in decades. See the linked SCMP articles below. Thanks to Rod Parkes for alerting me to this tragic event. This article was first posted on 20th January 2015. The lot would probably cover the whole city block, including present day Amoy Gardens. I wonder if the other blocks of the Industrial Centre had been redeveloped into the blocks surrounding the existing building. 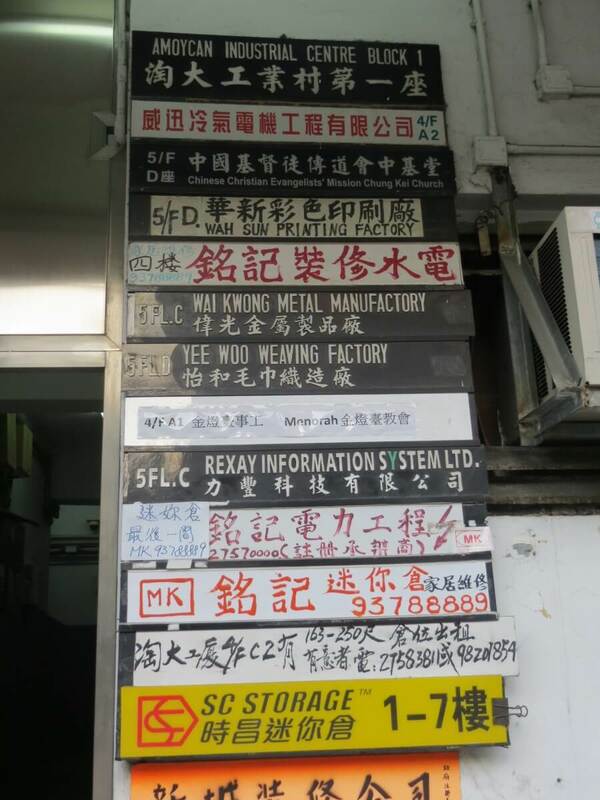 I’ve posted a new article, Amoy Canning locations – Ngau Tau Kok Road, Amoy Gardens, Ngau Chi Wan – clarification needed? Perhaps you can clear up the exact location of the Amoy site (bounded by which streets?) 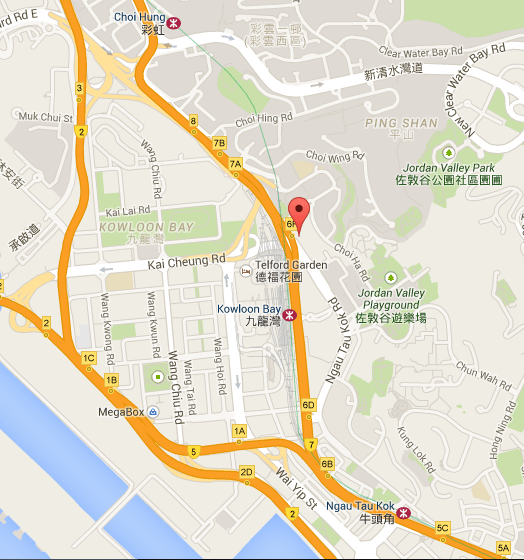 in Kowloon Bay? Some years ago, property company Hang Lung Group bought up Amoy, then disposed of the food business (still operating under the Amoy name), while retaining Amoy Properties, later renamed Hang Lung Properties. This building – in the news today after a fatal fire there – is owned by Hang Lung, who also developed Amoy Gardens. The name is a residue of the Amoy Canning connection.